CLIMATE CHANGE IS UPON US. HOW ARE WE PLANNING FOR IT? | "Global Possibilities"
Home » Architecture » CLIMATE CHANGE IS UPON US. HOW ARE WE PLANNING FOR IT? In his 1972 science fiction novel The Gods Themselves, which takes place a century after an ecological and economic collapse that reduces the world’s population from six billion to two billion people, Isaac Asimov wrote: “The easiest way to solve a problem is to deny it exists.” For too long now, that has been the collective mindset toward climate change of too many. But the escalating rise of sea levels that might one day have been imagined as science fiction is now a reality. The result is that solutions that could once be addressed through mitigation may now require profound adaptation – and in many cases, at a massive urban scale. For decades, the scientific community has been sounding a clarion call for greater attention to carbon emissions. Now, with the potential for multi-meter rises in sea levels before the next century, it’s clear that the impacts of climate change will be difficult for many of us alive today, catastrophic for some in the near term, and frighteningly uncertain for our children and the generations of children that follow. Though Paris is a great step, and even with the best of intentions, we can no longer just mitigate our way out of this mess. Responsibility for the managing the problem will now be shouldered as well by a new breed of urban designers and architects, evacuation planners, and engineers who will be left to sort out the massive physical challenges that lie ahead. 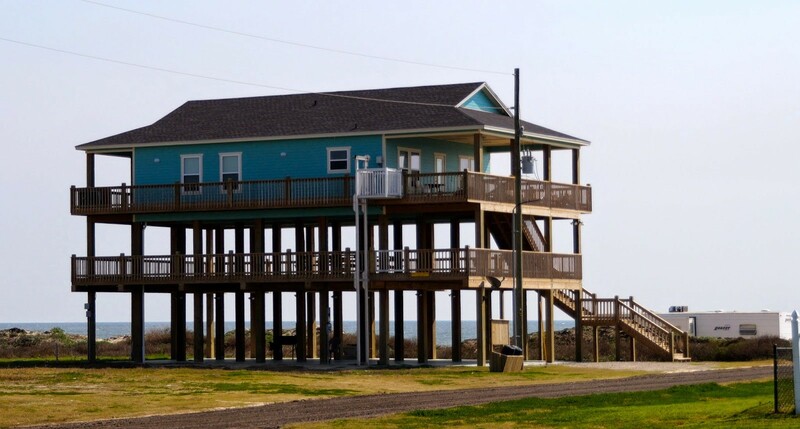 Some of the earliest adapters are on the southern coast of Louisiana, where in addition to sea level rise, the land is also sinking, with a combined estimated sea level rise of around four feet – and perhaps more – by the turn of the century. Accepting some of this reality, the state is already implementing a plan to re-engage the power of nature – in this case, the Mississippi River and its distributaries – to push back against the encroaching sea. Regardless, in the next few decades, the mouth of the Mississippi River will likely need to be moved more than 40 miles inland to maintain its navigability. In just this area, around the river’s mouth, whole towns and settlements will be slowly inundated, forcing more than 8,000 local residents to either raise their homes, schools, hospitals and roads as high as 18 feet above current ground levels – or move to higher ground, to cities like Baton Rouge or New Orleans. And unless large-scale restoration projects such as Mississippi River sediment diversions are employed to rebuild surrounding wetlands, the Crescent City itself will likely morph from a coastal city to an island as early as 2100. Growing awareness of these challenges is forcing the state to begin to engage with ideas around resettlement and relocation across the entire Louisiana coast, with implications for the lives of hundreds of thousands of people. Now think about what this looks like in hundreds of other coastal cities around the world. For urban planners and designers, these impacts raise serious questions, some of which are fundamental to the profession itself. As vast rural and urban populations are forced to move further inland, where will they settle? Will our descendants live to see the Appalachian Mountains chewed up by the same wasteful and inefficient straggle that previously consumed our planet’s most vulnerable farmlands and coastal estuaries? And even though higher densities for horizontal development have recently become part of a new planning lexicon, in this new and evolving context, what do we really mean by density? Live with and not against nature. We are paying a huge price for ignoring this principle. We should stop doing it. In this case, that means re-engaging natural and sustainable “infrastructure” to provide support and protection, and creating a more sustainable balance between manmade and natural habitats. Support systems for planning and decision-making that will allow citizens to equitably participate in the creation of their own futures, as they face the almost existential threats that lie ahead. Embrace more efficient transportation and distribution systems: Crowd-sharing networks, bikeways, drone deliveries, and other carbon saving, pollution limiting, alternatives. Create smaller and smarter dwelling units, with sustainable ratios of square feet per person that operate in harmony with more creative, expansive and communal public spaces. Develop new coalitions between governments, businesses, educators, and all community stakeholders. Look at cities like New Orleans, Minneapolis, Austin, Louisville, Chattanooga, Portland and others for inspiration. Steve Cochran is Associate Vice President, Coastal Protection at the Environmental Defense Fund, where he has overall responsibility for EDF’s coastal protection efforts.